Garage gantry crane is a popular lifting solution for garage, and it can also be used in shop, workstation, warehouse and so on to handle various materials. 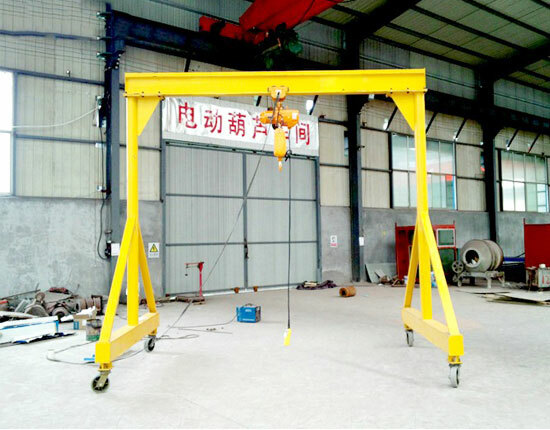 This gantry lifting equipment is a kind of light duty gantry crane, widely applied to lift and transfer small and medium sized loads. As a highly efficient material handling solution, the gantry crane in garage is increasingly adopted for many different industries as well as for home use. Ellsen is a seasoned gantry crane manufacturer in China, and supplies different types of garage gantry cranes to suit a wide range of applications, such as portable gantry crane, fixed gantry crane, adjustable gantry crane, aluminum gantry crane, and steel gantry crane. According to your specific application, we will build the best material handling solution to maximize your benefit. When looking for a garage gantry crane, it is necessary for you to select the most appropriate gantry crane and the right gantry crane manufacturer, because it determines your crane quality, working efficiency and safety to a large extent. 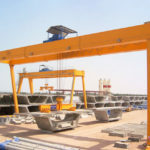 Therefore, the first and most important thing in the process of choosing the right equipment is to know different types of gantry cranes for garage and how they differ from each other. The garage gantry cranes fall in various types to fit different lifting needs. It is more often mounted on wheels to achieve an easy and flexible movement. The small garage gantry crane can be made of steel or aluminum with fixed or adjustable height and span designs. 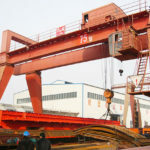 The portable aluminum gantry crane has multi functions as it adopts either fixed or adjustable height and span designs. 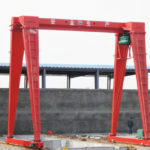 This small gantry crane has simple structure, which can be installed and operated by a single person. 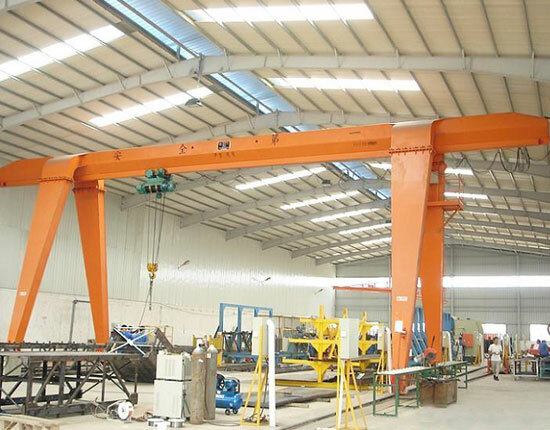 The aluminum gantry crane is easy to use and has wide range of applications. The whole crane is made of aluminum, which effectively reduces the crane weight and enhances corrosion resistance. Like aluminum gantry crane, this small mobile gantry crane is available in adjustable designs either for height or span. It is a more economical lifting system to handle light and small materials in garage. The flexible designs make garage gantry crane more convenient to transport, install and relocate in other workplaces. 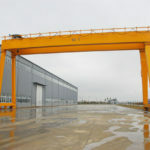 The steel gantry crane has other options, such as steel or phenolic casters, different types of hoists and spreaders to suit various requirements of clients. This garage gantry crane is designed with convenient height adjustment, which allows the telescoping legs to go up and down readily. It can maximize the crane size to fit in different occasions, such as garage, shop and workstation. 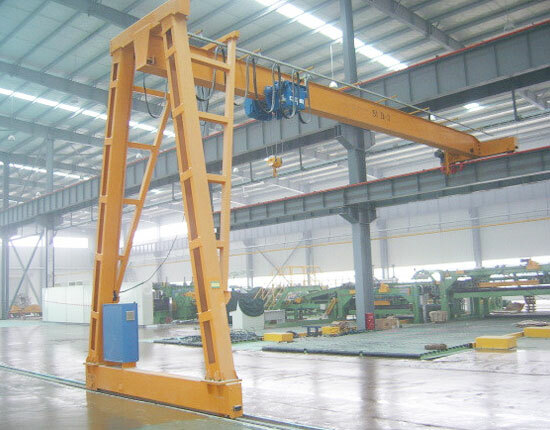 The telescoping gantry crane is very popular among small lifting solutions for its affordable price, durable performance, flexible designs and strong mobility. We also supply other types of lifting equipment for garage, such as garage bridge crane according to your work condition and facility structure. 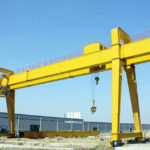 After understanding different types of garage cranes, you can choose the right gantry crane for garage based on your required capacity, lifting height, span, working condition, building structure and so on. 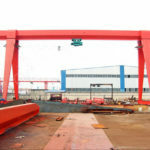 Choosing a reputable gantry crane manufacturer and supplier is also essential. 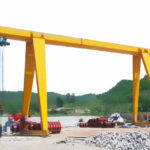 You should first get to know the qualification and reputation of the gantry crane company, and take a site visit in order to ensure the equipment quality, price and service. We are professional garage gantry crane manufacturer and have been engaged in fabricating material handling equipment for more than ten years. We always do hard work to satisfy our clients by means of constantly supplying good quality products, competitive price and best service. To know more about different types of garage gantry cranes, contact our sales team online directly. We will assist you to select the most appropriate material handling solution for your need. The small portable gantry crane we produce is manufactured with high quality materials and components as well as with precision machining so as to ensure superior quality products. The portable garage gantry crane is available in various design options such as steel or aluminum, different sizes and wheels to undertake almost all lifting tasks in the garage as well as other workplaces. The small garage crane has easy assembly and disassembly, so it is very convenient for storage and transportation, and it can also be relocated in other working areas readily. The adjustable height and span designs allow the equipment to move without obstructions, which means it can move through an even narrow passage or doorway easily. The solid construction, I-beam and spring support wheels designs make the movement more safe and stable. This gantry crane can effectively improve production in garage, and help save time and cost. We have set a systematic service system, and are committed to providing perfect pre-sale, sales and after-sales services to customers so as to simplify their purchase process as well as create maximum value for them. Pre-sale service. 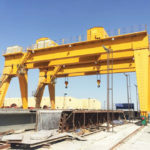 We have an experienced technical team to provide professional solutions for clients, including the selection of garage gantry crane model, the equipment design and manufacturing on customer’s request, and technical training. We all have been trained rigorously so as to offer dependable customer service, and keep them satisfied as always. We strictly inspect every part of production in order to ensure the equipment quality. The product acceptance will be done by our specialists. We also guarantee a fast delivery and timely delivery. After-sale service. We have skilled after-sale service personnel to provide on-site installation, debugging and maintenance. Our garage gantry crane warranty lasts 12 months. We aim to solve problems and bring great benefits for clients. If you have any problem, please feel free to tell us online. A quick reply will be done within 24 hours. If you are interested in our garage gantry crane or any other lifting solution, please contact us directly. We will provide quality gantry crane with best price!